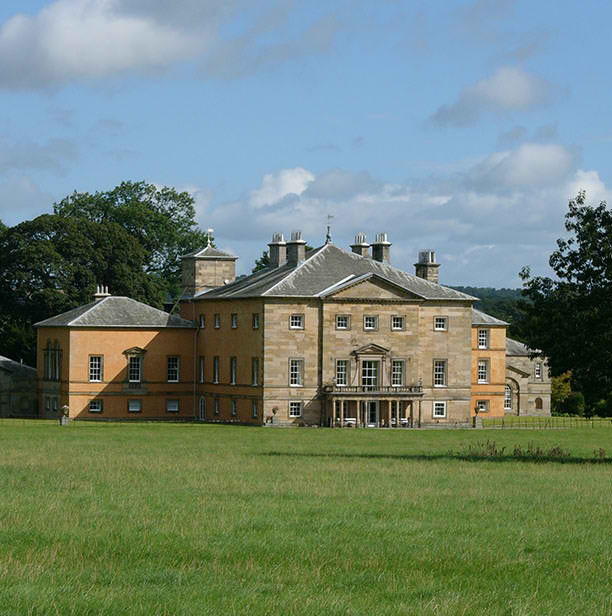 Rokeby Park, described by Giles Worsley in 1987 as “one of the purest examples of the neo-Palladian villa”, was designed by its owner and talented amateur architect Sir Thomas Robinson (1702-1777). The internal layout and decorative schemes have evolved over the years. 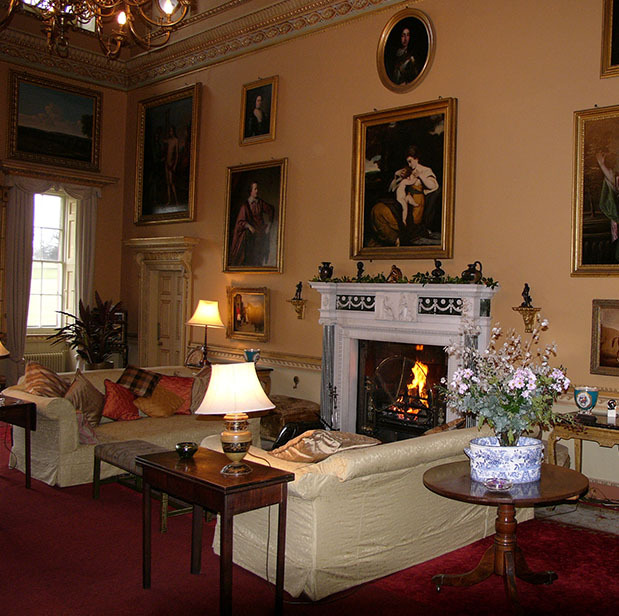 Only two rooms, the Library, with its Tuscan columns, and the Music Room, with its early egg and dart and Greek key plasterwork and pedimented doorcases, survive largely unaltered from the 1730s. The spectacular Saloon on the first floor has the proportions of a cube and a half, being 27 feet wide and tall, by 40 feet and 6 inches long. 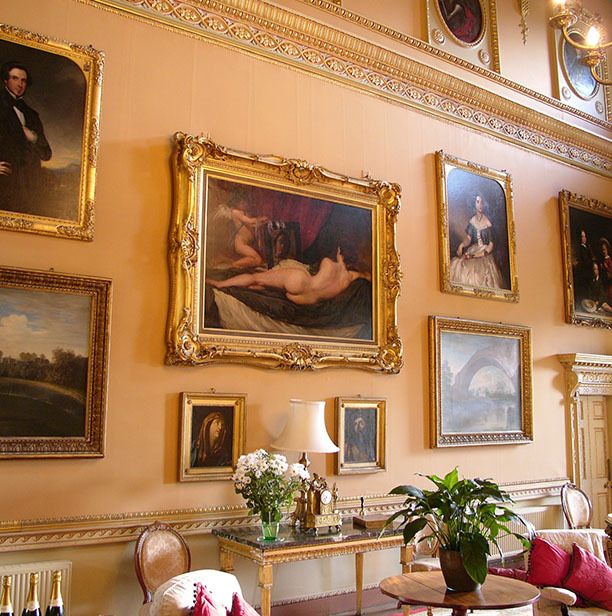 As Sir Thomas Robinson sold Rokeby with its furnishings and pictures, many of the contents are contemporary with the house, with older Florentine and Venetian items collected on Grand Tours made by Robinson and later by J.B.S. Morritt (1794-6). There are examples of George II through to Regency furniture by Gillow of Lancaster, with copies of two commodes and a double knee desk by Vile, made by Mallet to replace the originals bought by Queen Mary in the 1920s. 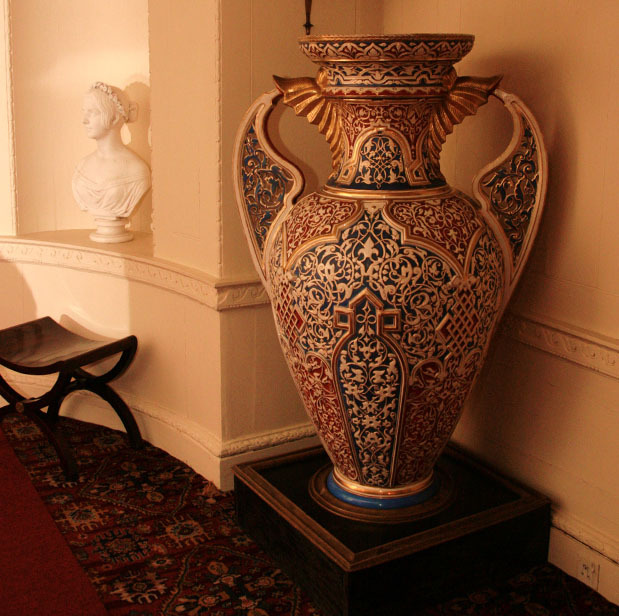 The ceramics collection includes items by Sevres, Rockingham and exhibition pieces by Minton….